The Regulatory Reform (Fire Safety) Order 2005 effectively set in place compulsory regulations that landlords and employers must adhere to reduce fire risks at their premises. These regulations have guided the London fire risk assessments as companies have adjusted to comply with the legislation. These companies have made a lot of effort to educate premises owners on how to comply with these regulations fully. However, many people still violate these regulations knowingly or unknowingly. If you are struggling to get all the information about London fire risk assessments in one place, worry not, we have you covered. A fire risk assessment is used to describe the process of identifying those things in premises that can cause fire and eliminating them to reduce the risk. It also involves telling persons who are most at risk so that they can be extra careful and training your staff on the proper way to respond in case there is a fire. Do Landlords Need to do Risk Assessment? Yes. The law requires landlords to carry out fire risk assessments on all areas of their premises. 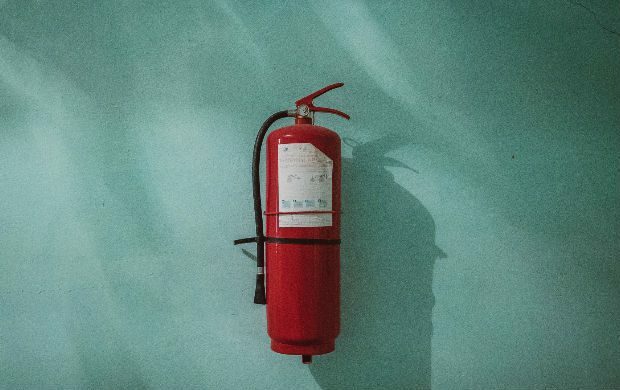 An extinguisher on each floor of the building is a good step, but it is not considered as doing enough to protect your tenants. A proper fire risk assessment should be done by an expert to ensure that all the risks are reduced as much as possible. How Often Do You Need to Complete Fire Risk Assessments? The law does not state how often you should carry out fire risk assessments; it only says that it should be carried out regularly. Most companies who do the assessment provide guidelines on when you should review the assessment. A review does not take as much time as a new assessment, so it is possible to carry it out regularly. Must You Install a Fire Alarm System? Yes. Landlords should install a smoke alarm on every floor of their premises. They are also expected to have an alarm in any room where there is a solid fuel burning appliance. A landlord is required to conduct tests on the fire alarms to ensure that they are working correctly. During the duration of the tenancy, it is the responsibility of the tenant to ensure that the alarm is working well. Can You Do the Fire Risk Assessment Yourself? If you are qualified, then yes, you can. The law mentions a ‘responsible person’ who should ensure that the fire risk assessment is up to date. The responsible person can be a landlord, employer, or building manager. A caveat here though, conducting the fire risk assessment yourself can lead to doubts about the genuineness of the results. It is not easy to examine yourself without being biased. It is, therefore, essential to hire a credible risk assessment company to carry out the process on your behalf. In conclusion, landlords have a significant role to play in ensuring the safety of their tenants. The era of doing the bare minimum is long gone. People put a lot of trust in you as a landlord, and it is your responsibility to ensure the trust is never broken. You can only do this by strictly adhering to the law.